This residential home owner wanted to get his new backyard seeded but had issues with run off washing away his grass seed. After our initial assessment, we discovered a small spring at the high point of the project area. This spring was creating very wet conditions with a lot of run off. We created a drain to divert the water from this area and to reduce run off then finished the grading and hydro seeded the lawn. 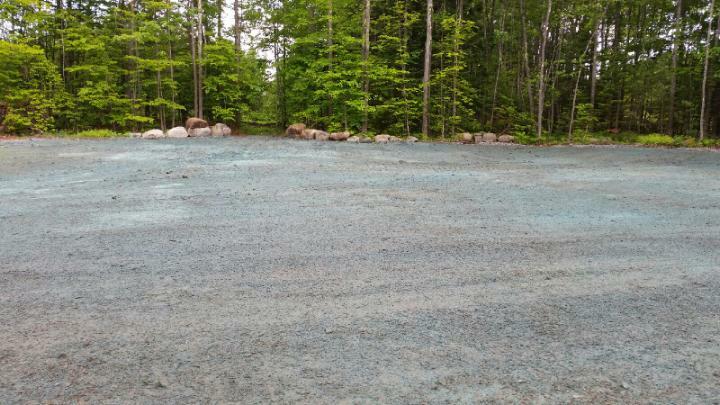 Tons of aggregate was brought in to and sand was added to existing loam. Drains were constructed to direct water and run off away from the home and to reduce risk of top soil run off. Sand was mixed in with existing loam to ‘lighten’ the soil. 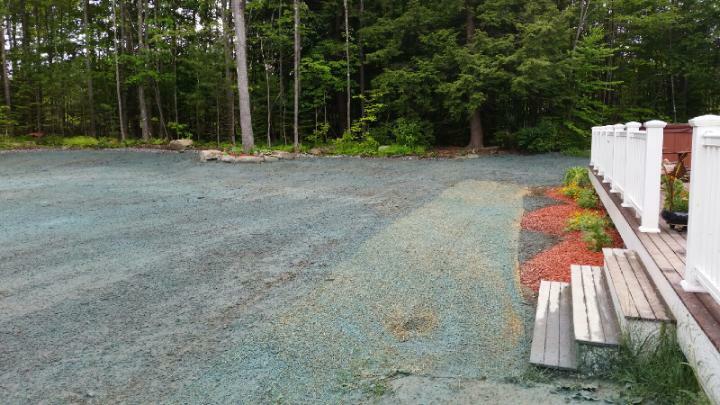 After grading the area, we hydro seeded the lawn and added lime. As a bonus, we were able to remove some cut trees and brush to help clean up the yard.